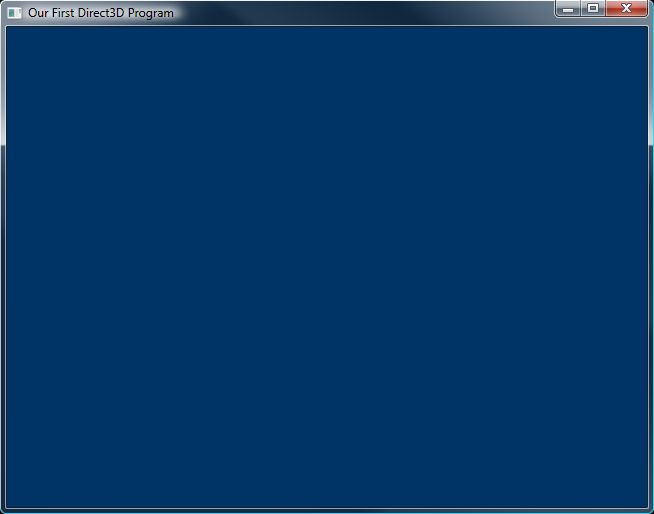 Once Direct3D is initialized, it's time to start doing some actual rendering. Rendering itself is very easy, but there is a little bit of preparatory work involved. In this lesson we're going to get everything set up to render a blank frame, over and over again. There are three things being done here. First, we determine the address of the back buffer. Second, we create a COM object using that address to represent the render target. 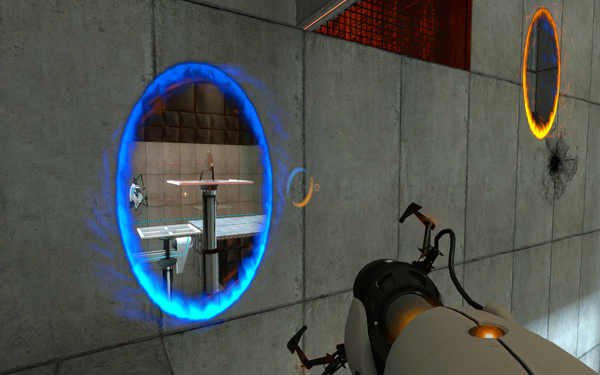 Third, we set that object as the active render target. This variable is a pointer to an object that holds all the information about the render target. We'll be rendering to the back buffer, so we'll call this variable 'backbuffer'. You may not believe me, but this command is actually simple. What this GetBuffer() function does is find the back buffer on the swap chain and use it to create the pBackBuffer texture object. The first parameter is the number of the back buffer to get. We are only using one back buffer on this chain, and it is back buffer #0. Therefore, the first parameter will be 0. The second parameter is a number identifying the ID3D11Texture2D COM object. Each type of COM object has its own unique ID that is used to get information about it. To get this ID, we must use the __uuidof operator. The exact details of how this works are unimportant, but the reason we do it is so that the GetBuffer() function knows what type of object it is supposed to be creating. The third parameter may not make sense to you unless you are at least intermediate with C++. Basically a void* is a pointer that points to no particular type of variable. For example, a double* points to a double, whereas an int* points to an int. A void* is used to point to anything, and it can be converted to any other type of pointer. In this third parameter, we have a pointer to a void*. This void* gets filled with the location of the ID3D11Texture2D object. It needs to be a void* because there are other types of objects we could be asking for. This particular function is one that you won't be messing around with too much, so don't worry if it's a little bit shrowded in mystery right now. You'll have an easier time getting it as you learn more about Direct3D. This function creates the render target object. We created the pointer for this object at the top of the program. The first parameter is a pointer to the texture. It should be 'pBackBuffer' for our program. The second parameter is a struct that describes the render target. We won't need to fill this out for the back buffer. We'll just set it to NULL. The third parameter is the address of the object pointer. The pointer name was 'backbuffer', so we'll use '&backbuffer'. The Release() function frees all memory and closes all threads used by a COM object. We are done with the pBackBuffer object, so we will Release() it. Note that this doesn't destroy the back buffer, it only closes the texture object we used to access it. This last function actually sets the render target. More exactly, it sets multiple render targets. The second parameter is a pointer to a list of render target view objects. We only have one, so it's just the address of our render target object (&backbuffer). The third parameter is advanced, and we'll get into it in a later lesson. For now it can be NULL. This section of code is a bit complex. Make sure you go over it until you get what is happening, because it will be used and modified many times in your Direct3D programming. This section of code will be a piece of cake compared to the last one. A viewport is a way of translating pixel coordinates to normalized coordinates. The following diagram shows the difference between the two. On the left, pixel coordinates start at 0, 0 in the upper-left corner, and increase one pixel at a time. On the right, normalized coordinates start at -1, -1 and increase to 1, 1, no matter the size of the back buffer. The word normalized means that a value is adjusted until it equals 1. What -1, -1 and 1, 1 actually equate to is determined by the viewport. The viewport is a struct that lets us set where -1, -1 and 1, 1 will be in pixel coordinates. Probably the only line here that needs explanation is the last one. RSSetViewports() is a function that activates viewport structs. The first parameter is the number of viewports being used, and the second parameter is the address of a list of pointers to the viewport structs. Next we'll create a function that renders a single frame. The frame will be rather simple for now, and will consist only of a blue background. Of course, you can change the color if you want. Here is the code for this function. Nice! A whopping two lines of code! Let's talk about what they do. This fills a render target buffer with a specific color. In our case, we are going to fill our back buffer. It's pretty simple. There are two parameters. The first one is the address of the render target object. We just put 'backbuffer' here. The second parameter is the color you want to fill the back buffer with. To do this, we use a simple struct called D3DXCOLOR. The four constructor parameters are used to build the color. The first three are the red, green and blue values, and the fourth is the alpha value (which is meaningless on a backbuffer, but necessary as we'll see later on). Next we call the Present() function. This function is where everything that has been drawn on the back buffer actually appears. It's job is basically to perform the "swap" in the swap chain, so that the back buffer becomes the front buffer. The two parameters, both set to 0, are not going to be used much in this tutorial. In the last lesson we closed down Direct3D by releasing each COM object we created. Most COM objects have this Release() function, and if they do, we must call it when we're done. The render target object is no exception. Get into the habit of ensuring that all COM objects are released. The more we add, the easier it can be to forget one. 2. What two functions render the blank, blue frame? What do these functions do exactly? 3. What are normalized coordinates? 2. Change the viewport and see what "happens". We'll discuss why this is in a few lessons.